We are delighted to have secured the contract for asbestos removal and encapsulation works to the Tyne Pedestrian and Cyclist Tunnels in Newcastle. The Grade II listed Tyne Pedestrian and Cyclist Tunnels (TPCT) opened in 1951, to provide a cross – tyne connection between Howdon and Jarrow. They included the first purpose built cycle tunnel in the UK and the first to be used by both cyclists and pedestrians. 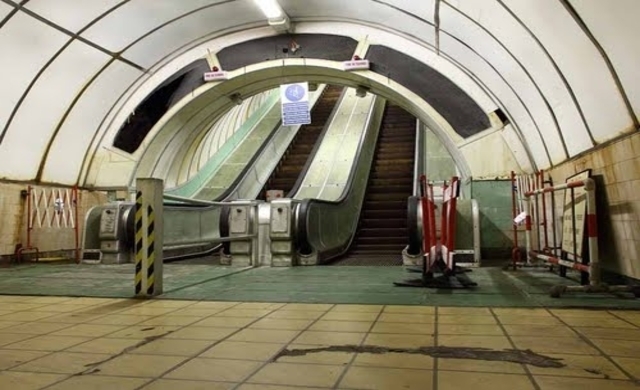 When the TPCT opened, the Waygood-Otis escalators were the highest single-rise escalators in the world, with a vertical rise of 85ft (26m) and a continuous length of 197ft (60m). Today the escalators are the longest wooden-tread escalators in the world. The works comprised of a full decontamination of the whole of the TPCT including all encapsulation works where required. The project commenced in June 2016.